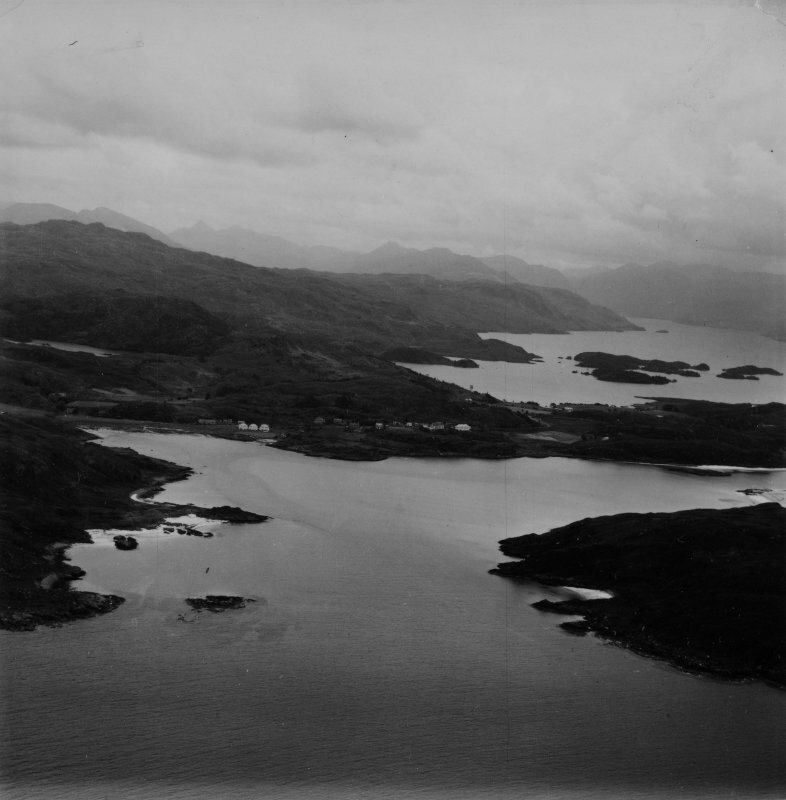 Morar Bay and Loch Morar. Oblique aerial photograph taken facing east. This image has been produced from a print. 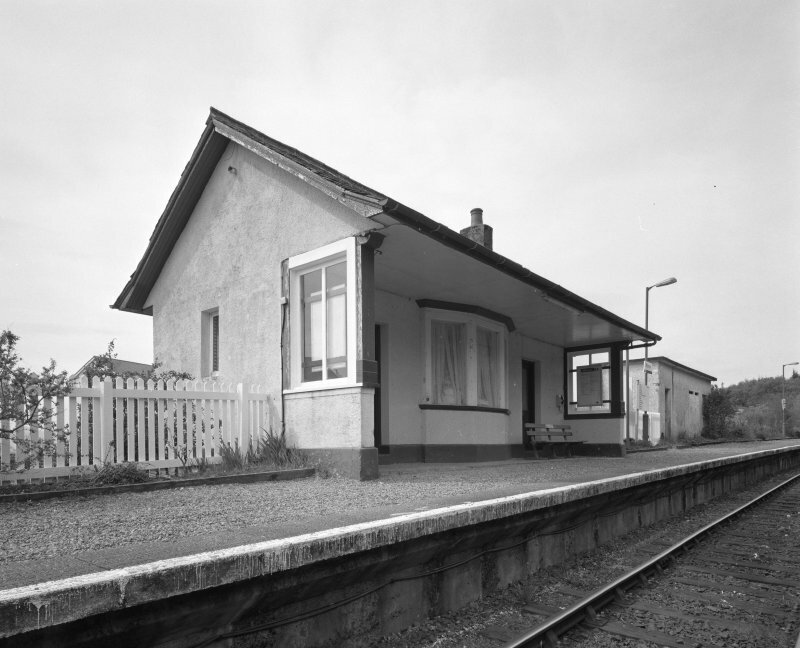 This intermediate station on the Fort William (Mallaig Junction) - Mallaig line (the 'West Highland extension') of the former North British Rly was opened on 1 April 1901. 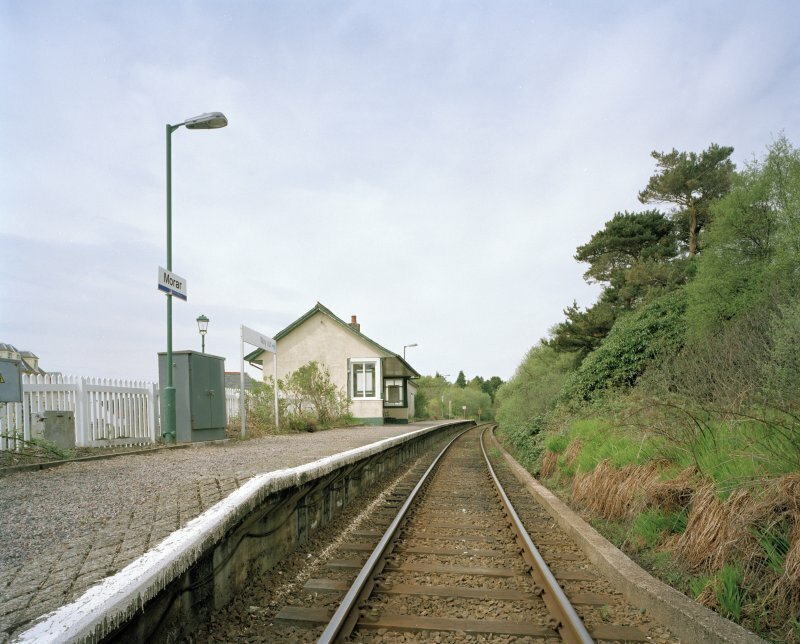 It remains in regular passenger use. 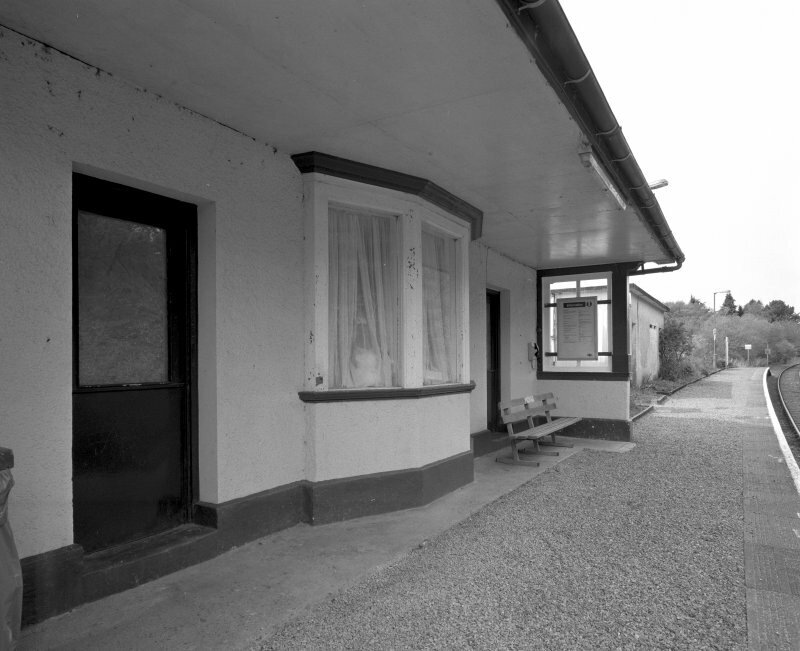 Information from RCAHMS (RJCM), 28 June 2000. 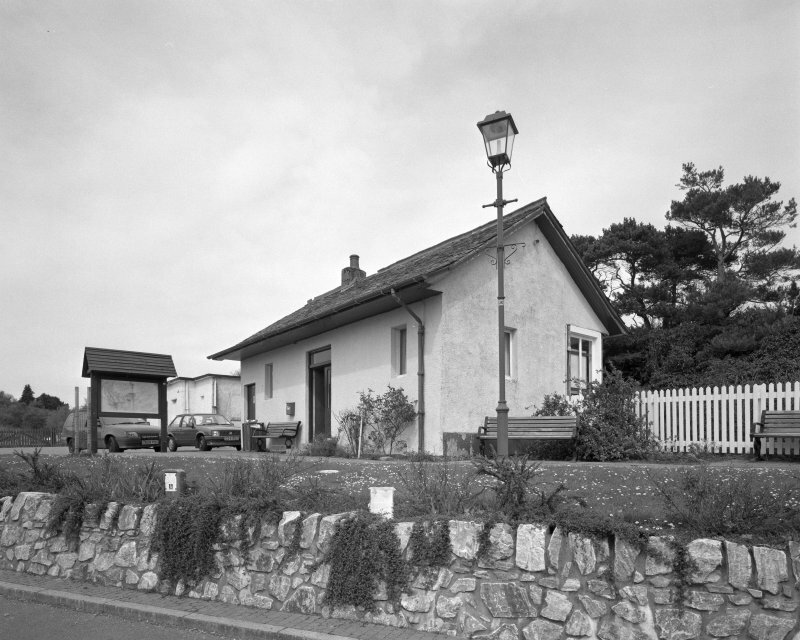 A photographic survey of Morar Station and Post Office was undertaken, by RCAHMS in July 1997. The purpose of this survey was to enhance and augment the existing National Monument Record Scotland holdings.